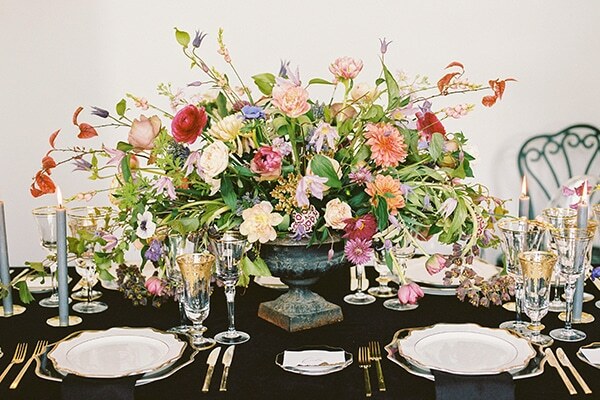 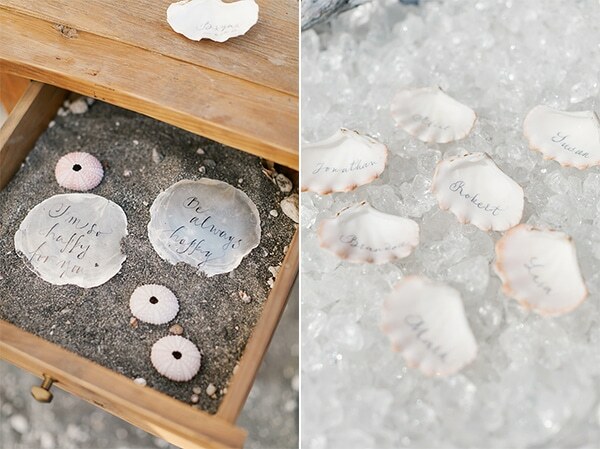 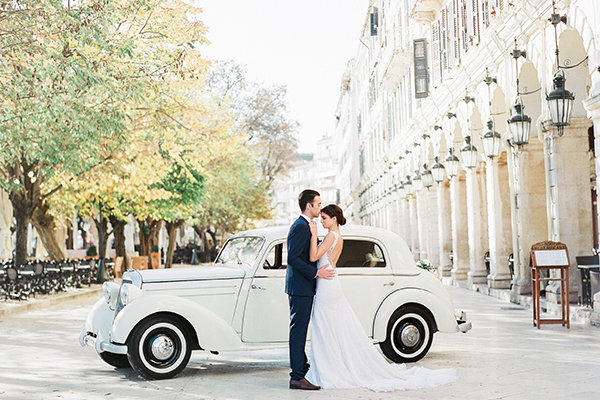 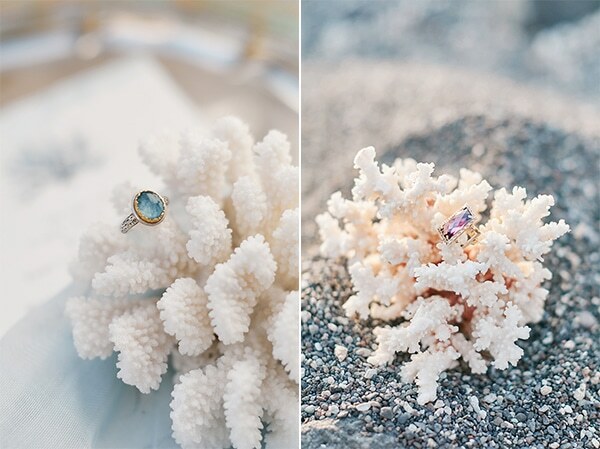 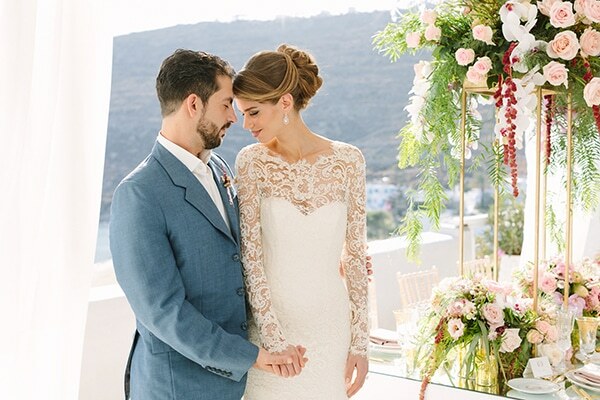 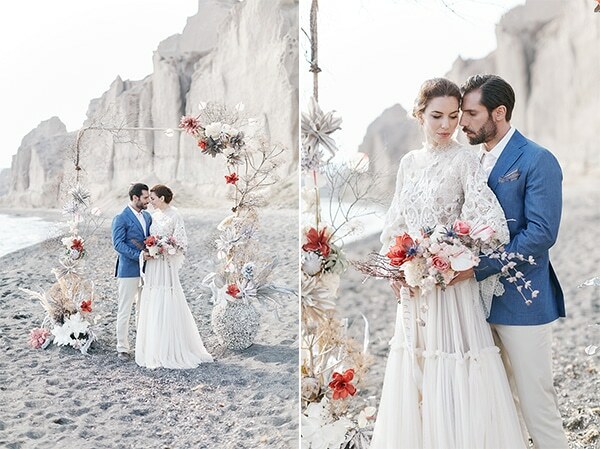 Today, we’re sharing with you one styled shoot straight out of heaven! 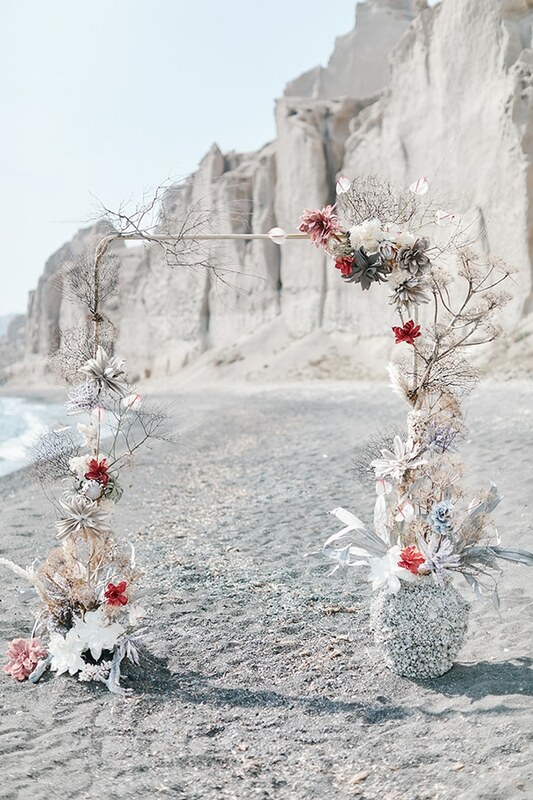 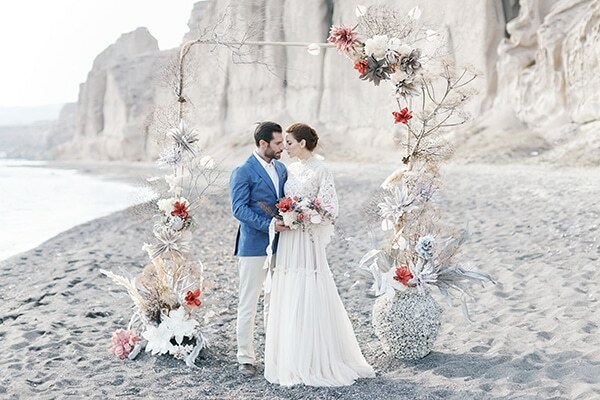 The photoshoot took place in beautiful island of Santorini and specifically in a private beach spot that was ideal for a dreamy scene like this to shine. 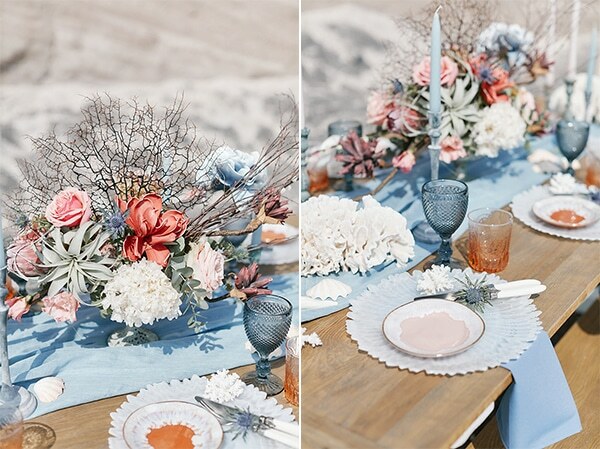 The overall styling followed a pastel, natural color palette with light blue, light pink, beige and red hues. 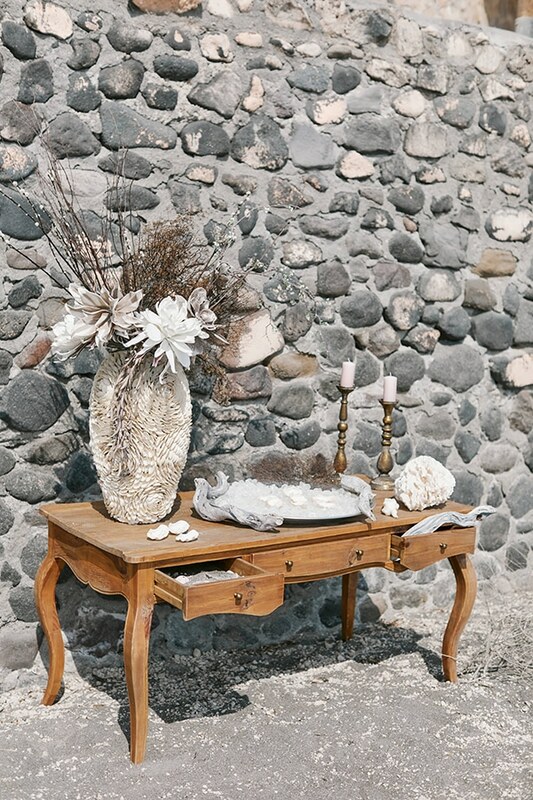 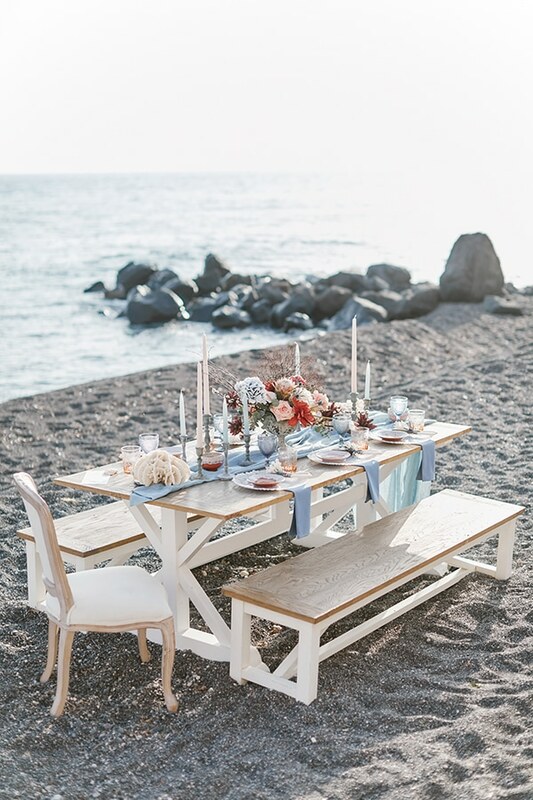 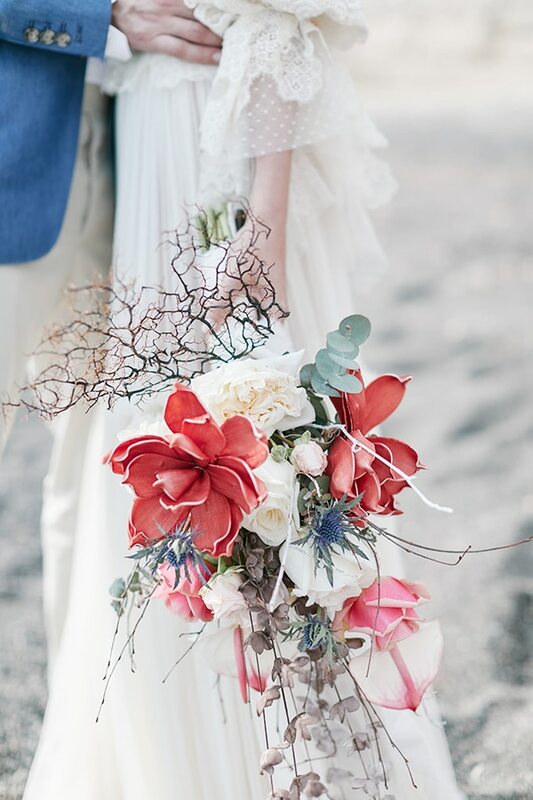 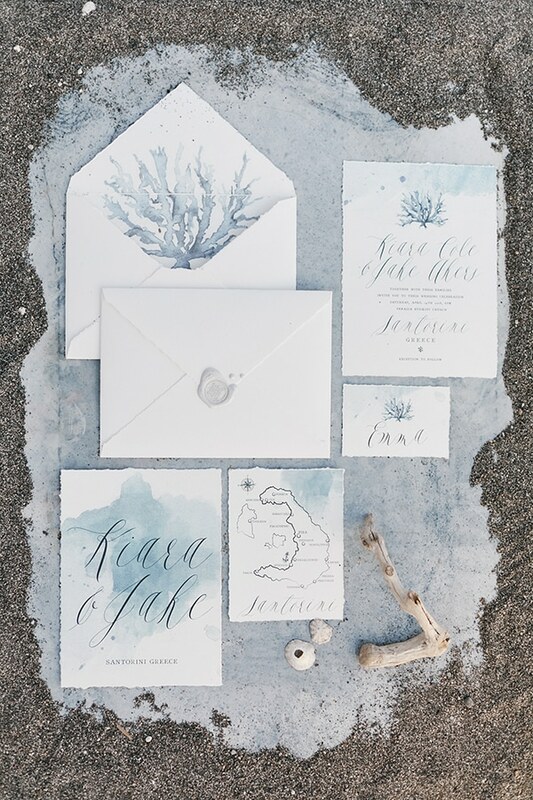 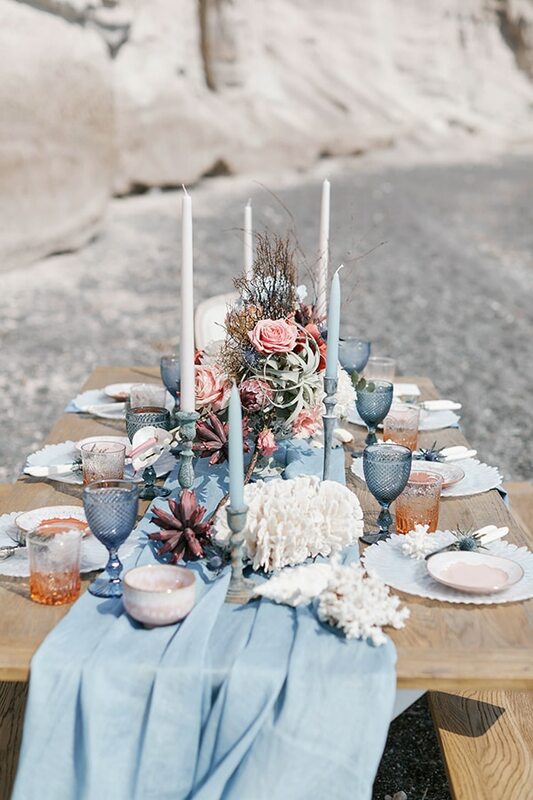 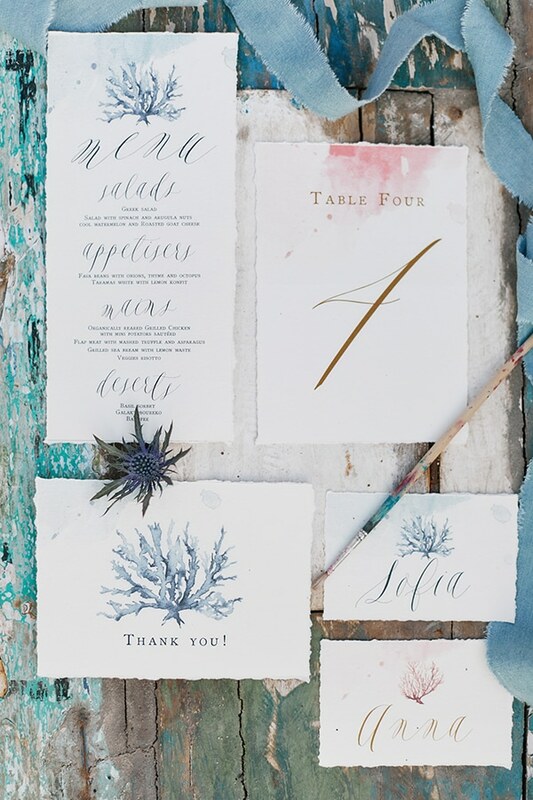 A wooden table was set up and adorned with a fabric garland in baby blue, candles, corals, flower bouquets and a beautiful tableware inspired by sea elements. 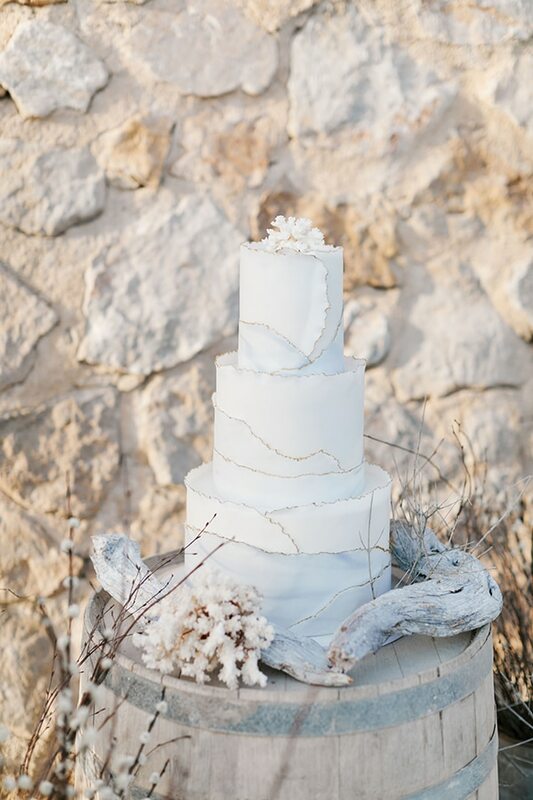 Impressive touch was the incredible wedding cake in light blue and white shades. 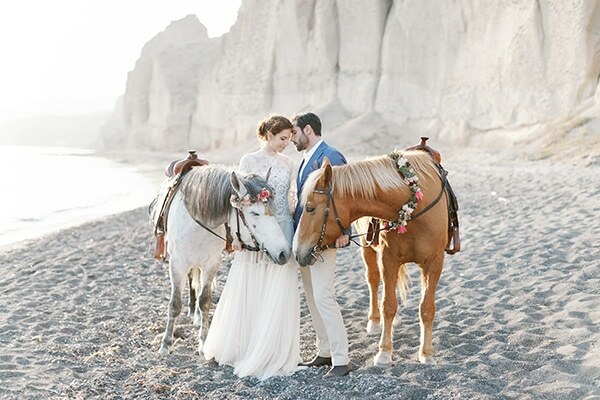 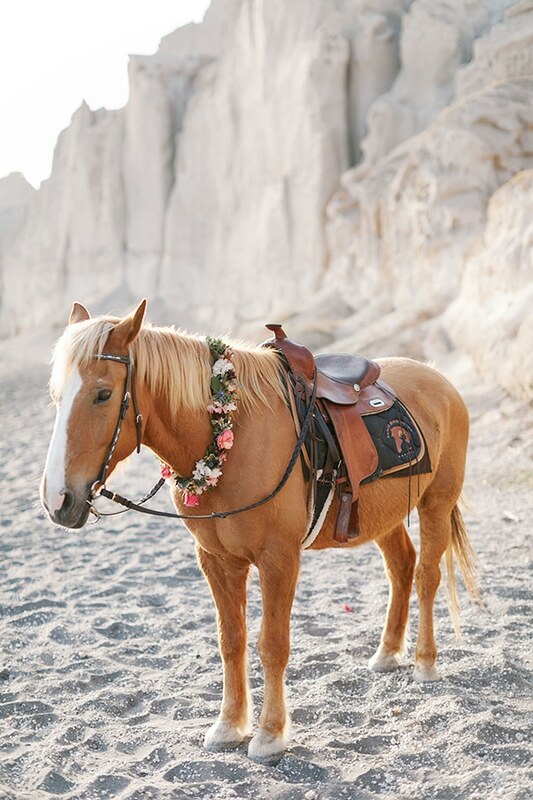 The beautiful couple and the cute horses completed perfectly the overall concept!